Bank online, whenever it is convenient for you. Our secure website enables you to monitor your account activity, transfer money between accounts, and view or print cancelled checks. Pay bills online and on time with automatic payments. You can also export your account data for use in Quicken or Quickbooks. Money Management is an interactive tool that allows you to create budgets, set goals, and so much more (click the button below for info). It’s easy to sign up for electronic statements through online banking. Not only will you save time by enjoying immediate access to your statement – but you will save paper too! This convenient option also allows you to sign up for electronic delivery of eNotices and end of year tax notices as well. To sign up for account eStatements and eNotices or VISA eStatements, log into Connect-24 and click on eStatements, then select online for your delivery method. If you have questions about eStatements, e-mail estatements@capcomfcu.org. *Minimum system requirements: Adobe Acrobat Reader version 4 or higher; 56K modem; 800 x 600 screen resolution; Microsoft Internet Explorer 5 or higher or Netscape 4.06 or higher. Automate your bill basket and pay all your bills in minutes. Signing up for Bill Payment is easy. Simply log into Connect-24 and click on "Payment Manager". We'll even help you get set up with our Concierge service. Move your money, when you choose. Transfer money instantly between your Credit Union account and a brokerage account, an investment account or even an account at another financial institution with Funds Transfer. This product is supported by more than 23,000 financial institutions and 85 percent of all major brokerage companies. To sign up for Funds Transfer or Pay People, log into Connect-24 and click on the "Send money" button in the "Make a Payment" section. Once you read and accept the terms and conditions, your account will be established and you can set up the other institutions with which you have relationships. You'll receive confirmation to start transferring funds within three days. Send money to your friends and family. Send money to family or friends anywhere in the United States at the click of a button with Pay People. All you need is your recipient's e-mail address. Cash Edge will notify the receiver once the funds have been successfully drawn from the source account. Bank anywhere, anytime with our CAP COM mobile app. View account balances, deposit a check (or stop a check payment) and transfer money between accounts. Our app can be used on Apple and Android phones, and is available with any Checking Account. We’re here for you whenever and wherever you need us! 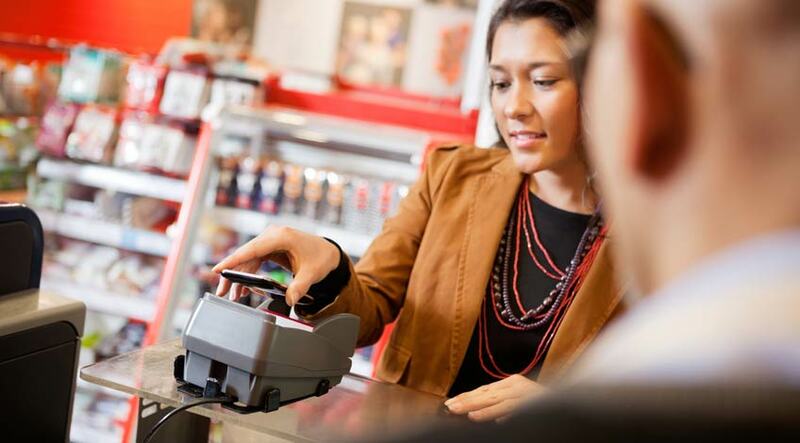 Tap and pay with your CAP COM VISA® credit or debit card. Access all the benefits of your CAP COM VISA on your compatible smartphone or device, anywhere Apple Pay, Google Pay or Samsung Pay are accepted. From the coffee shop to your doctor's office, your transactions are always backed by the security of VISA Token Service, using the latest technology to protect your iOS or Android device. Click a link below to get started! Picture your money already in your account. Now even faster and free* for eligible members! Mobile Deposit lets you deposit checks securely from anywhere, and access your money as quickly as making a deposit at a branch. Choose the "Deposit Checks" option in our mobile banking app. See "Using Mobile Deposit" below for instructions. The first $200 of your deposit is available the same business day (three business days for up to $5,000; five business days for higher amounts). Deposit limits, displayed within the app, are assigned based on account status. For a review of your limit, call us. Sign the back of the check and write “For Mobile Deposit Only” underneath it. Log in to CAP COM’s Mobile Banking App. From the menu, select “Deposit Checks.” If it’s your first time, accept the Terms and Conditions. Take a photo of the front and back of your check (you must give the app access to your camera). Tap “Deposit” to submit the check. CAP COM’s intuitive phone system offers more options and a dedicated line so you can do more, quicker and easier than ever before! Of course, Member Services Representatives will always be available during business hours when you need to talk with us. Whether you need to see if your last check cleared or want to know your balance, SMS Text Banking* can give you immediate answers on your mobile phone - and you won't need to log into your account. Just set your account preferences in Connect-24 and get faster access to your account information when you are on the go. *Please note that message and data rates may apply. Log into Connect-24 and choose the "Additional Services" tab. Then, choose "Alerts & Notifications" and click the "Activate" button under Text Message Banking. Make sure you have your phone with you, as we'll send a unique activation code via text that you'll need to enter in order to proceed.